After writing my Discovering My Tastes posts the other day, I saw this at the grocery store this afternoon. This is what I’m talking about. If you love dessert, eat a dessert. 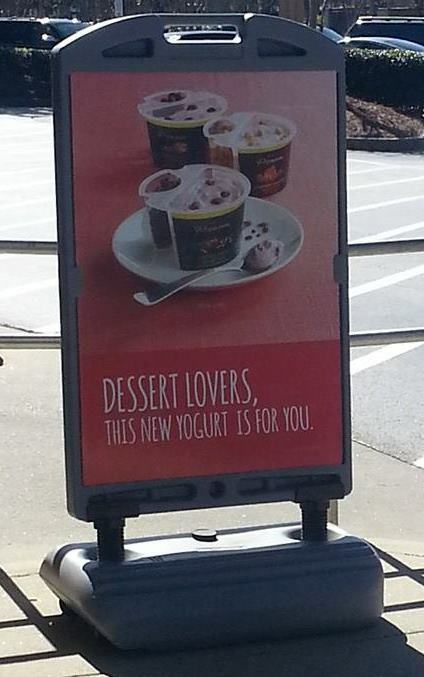 This is a multi-layered, multi -corporational, multi-year marketing scheme that says you’re supposed to love dessert (because it’s supposed to feel like you’re breaking the rules), but not supposed to “look like” you love dessert (be fat), and you’re supposed to eat “healthy food” (yogurt). So here’s a way you can satisfy your market-created craving for something “rebellious” in a market-approved way.